After a year of implementing Resolution 35/2016/NQ-CP on supporting and developing businesses, the Ministry of Industry and Trade has implemented a series of action programmes related to administrative reform and organisational restructuring, as well as continuing to improve the investment environment for domestic businesses and facilitate approach to international markets. 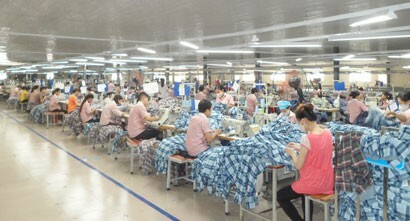 To implement the tasks assigned by the Government in Resolution 35, Minister of Industry and Trade Tran Tuan Anh said that the many regulations on business and investment conditions and administrative procedures studied and removed by the Ministry of Industry and Trade represented really constructive action to facilitate the development of enterprises. For example: the Ministry has repealed Circular 37/2015/TT-BCT regulating the limits and checking the content of formaldehyde and aromatic amino acids converted from azo dyes in textile products; amended regulations on declaration of chemicals in Circular 40/2011 / TT-BCT; and promulgated Circular 24/2016/TT-BCT stipulating some contents on shortening the time for accessing electricity. The Minister of Industry and Trade also issued Circular 36/2016 / TT-BCT replacing Circular 07/2012 / TT-BCT dated April 4, 2012 on the labelling of energy source for vehicles using energy, under the management of the Ministry of Industry and Commerce, which abrogated unreasonable regulations such as the regulations for the issuance of energy label certificates for each imported goods and designation of testing organisations. And there are many other action plans as well as innovations in State management and improvement of production and business environment that will continue to be implemented in 2017. In the field of administrative reform, on December 9, 2016, the Minister of Industry and Trade also signed Decision 4846/QD-BCT approving the Master Plan for Administrative Procedures Simplification in state management of the Ministry of Industry and Trade. Accordingly, the Ministry of Industry and Trade proposed abolishing 15 administrative procedures, simplifying 108 administrative procedures out of 443 administrative procedures within the scope of state management of the Ministry of Industry and Trade (equivalent to simplify 27.8 percent of total administrative procedures). Simplified areas include quality inspection of steel production and imports (5 procedures), international trade (3 procedures), heavy industry (2 procedures), cigarette production (6), Gas processing (18 procedures), alcohol trade (19 procedures), petrol trade (15 procedures), food safety (12 procedures), import and export (8 procedures) and trade promotion (5 procedures). On the other hand, administrative reform is not just about simpler procedures, but also transparency and modernisation. The Ministry of Industry and Trade has also operated the Public Service Portal, which integrates all public services at Level 3 and 4 of the Ministry at a single window, providing better conditions for enterprises to make online declarations at the Ministry of Industry and Trade. The Public Service Portal is also the only link between the Ministry of Industry and Trade and the National Public Service Portal. 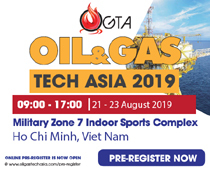 In addition, the areas of business restructuring, human resource training, research and application of science and technology, etc in the industry continue to be focused on, to promote and achieve positive results. 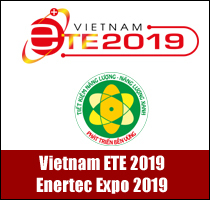 Agencies and units in the industry and trade sector actively carry out the assigned tasks, contributing to the cause of development of the entire sector in order to achieve the objectives of the Resolution: "By 2020, building Vietnamese enterprises with competitive capability and sustainable development with the whole country having at least one million operating enterprises, including large-scale enterprises with strong resources. 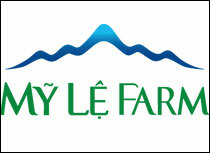 Vietnamese private sector contributes about 48-49 percent of GDP, about 49 percent of total social investment. Total factor productivity (TFP) contributes 30 to 35 percent of GDP. Social labour productivity increases by about 5 percent per year. 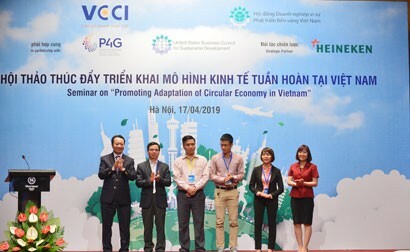 Every year, about 30 - 35 percent of Vietnamese businesses have innovative activities." The Ministry of Industry and Trade determined that it would focus directly on solving problems that are considered bottlenecks and constraints in the development of the sector as mentioned above, focusing on key tasks such as: To improve the institutions, open the production and business resources, create conditions for enterprises to develop; study, remove obstacles in business investment, reform administrative procedures, strongly apply information technology, build an effective e-government in terms of economic development and integration. In addition, the Ministry of Industry and Trade will publicly and transparently announce procedures, creating favourable conditions for people and enterprises, directly handling problems with the monitoring of authorities, and sharing of information among relevant agencies and organisations; carrying out the assessment of the satisfaction of the people with regard to cadres and civil servants who directly handle administrative procedures; creating the most favourable conditions for business development, especially small and medium enterprises and start-up businesses, through the provision of business development services: and training, consulting and supply information about markets. 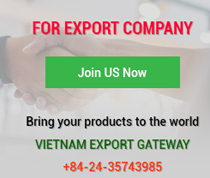 Agencies and units in the industry and trade sector will continue to develop and implement activities to support businesses by cluster linkage, value chain; connect with large enterprises, foreign investment enterprises and associate with the international market. The Import-Export Department, the Market Management Department and the Competition Administration Department shall coordinate with the concerned agencies and units in studying, amending, supplementing and abolishing the current regulations on export licensing policies in the direction of facilitating and reducing costs for enterprises in accordance with international commitments. The Local Industry Department will coordinate with concerned agencies and units in studying and proposing appropriate mechanisms and policies to attract investment in the development of industrial clusters, small and medium enterprises, rural enterprises; continue to promote industrial extension activities. 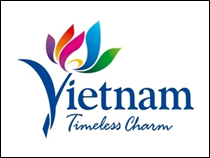 The Domestic Market Department, the Border and Mountain Trade Department shall coordinate with concerned agencies and units in elaborating the scheme on reorganization of the domestic market and cross border markets, boosting the campaign “Vietnamese people give priority to using Vietnamese goods" submitted to the Government in the third quarter of 2016.